"I am proud to have the endorsement of the organizations and community leaders listed below. ​Together we will keep criminals off the streets and our community safe." 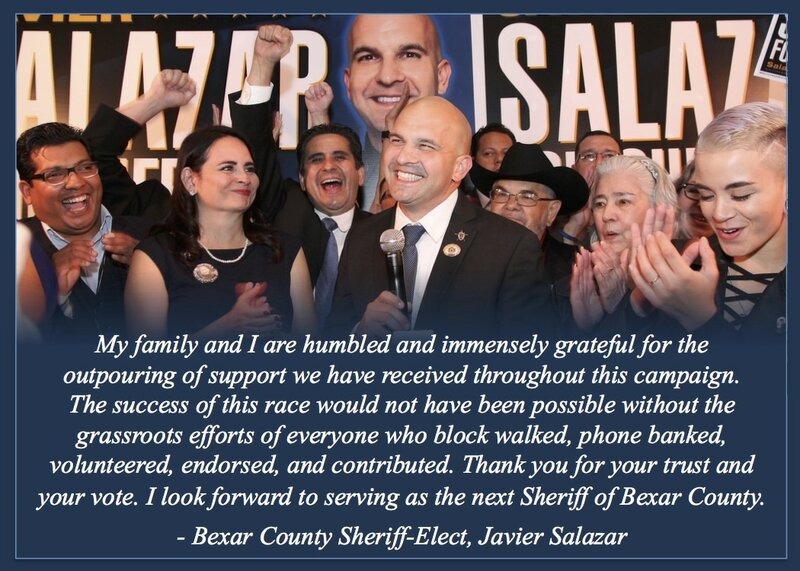 Bexar County Courthouse to endorse then candidate, Javier Salazar.